A number of addresses in Scotland were searched on Friday (10 July) by officers from Police Scotland, assisted by the Federation Against Copyright Theft, in relation to suspected Intellectual Property crime and fraud. The search warrants were carried out as part of a multi-agency operation in relation to a wide-spread alleged ‘card sharing’ or ‘control-word sharing’ scam as well as the sale of set-top boxes allowing illegal access to subscription pay TV services, sports content and movies. “This was an intelligence led, multi-agency operation between Police Scotland and partners including FACT. Officers have been working on this enquiry for over a year. It relates to alleged intellectual property theft, most notably alleged organised illegal activity and involvement in what is known in the industry as ‘card sharing’ or ‘control-word sharing’ (CWS). This essentially is a method that allows protected encrypted television broadcasts to be viewed without a valid subscription to the broadcast provider. “For example, these people could offer a £900 a year subscription to one of the major broadcasters for £100 a year. It’s obviously very tempting for people to take the bargain but they must be aware that their money is going towards a fraudulent scheme, and they might well find themselves having a visit from police or other authorities. Money from such activities might well be used to fund other crime, so people need to be aware of that. This is, without doubt, a form of organised crime. 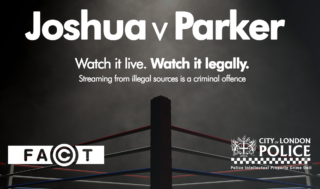 “Industry experts predict that the scale of this type of crime could be costing broadcasters millions of pounds each year. “From today’s operation, we’ve managed to disrupt a significant crime group. We’ve seized a large amount of computer hardware and technology which will be analysed by our detectives with assistance from FACT. We’ll then report our findings to the Crown Office. 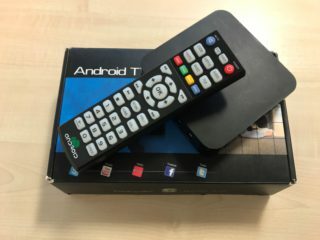 “Card-sharing scams and the sale of illegal set top boxes are of great concern to FACT and the companies we represent, especially those for whom a key part of their consumer offering is the provision of subscription television services, such as Sky, Virgin Media and BT. Piracy which involves providing unauthorised access to their services presents a huge risks to these businesses, which make a vital contribution to the broader UK creative industries.